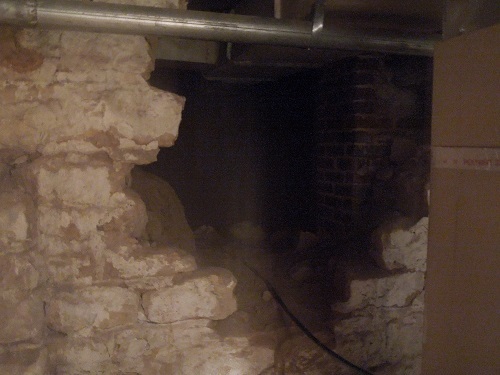 Inexplainable things can happen when you tour Haunted Atchison. 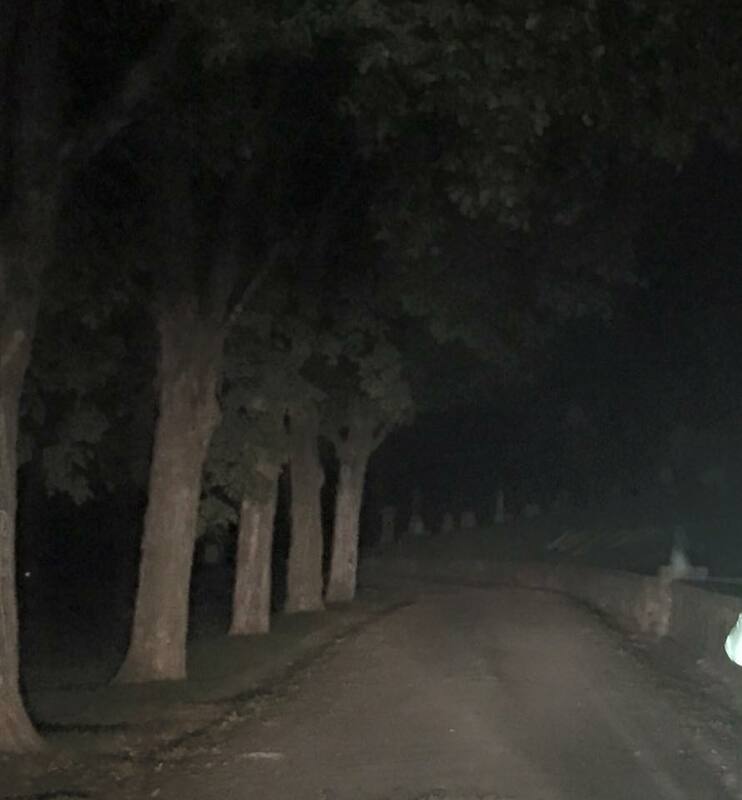 The following are stories, videos and photos submitted from visitors like you who experienced paranormal activity while in The Most Haunted Town in Kansas. Juli from P.I.N.K. 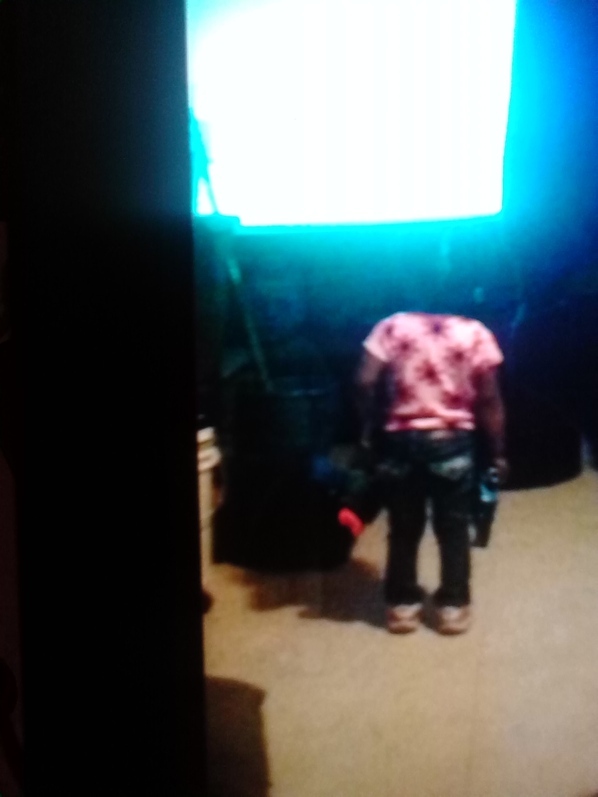 captured a couple of photos of what some think is a girl suspended in the air in the closet doorway of the master bedroom. Possibly Sallie? 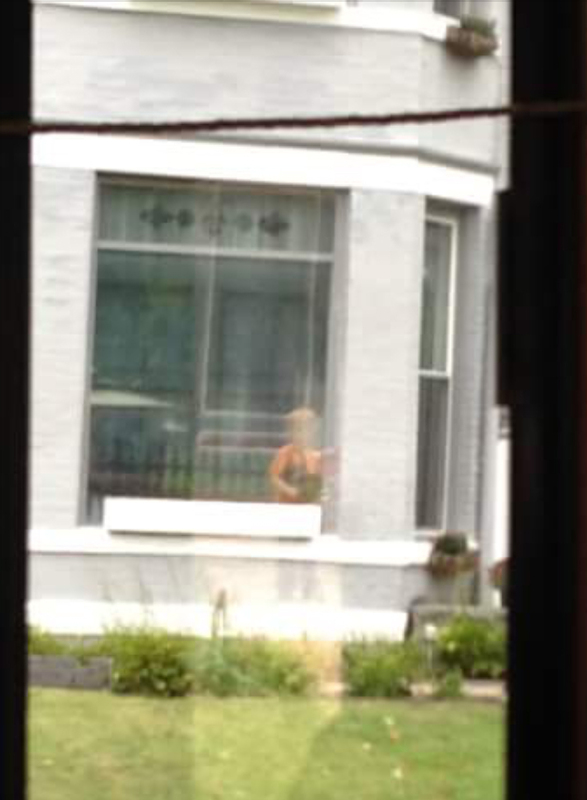 Another photo of what appears to be a woman in a period dress standing next to the bed in the master bedroom. Possibly Momma? 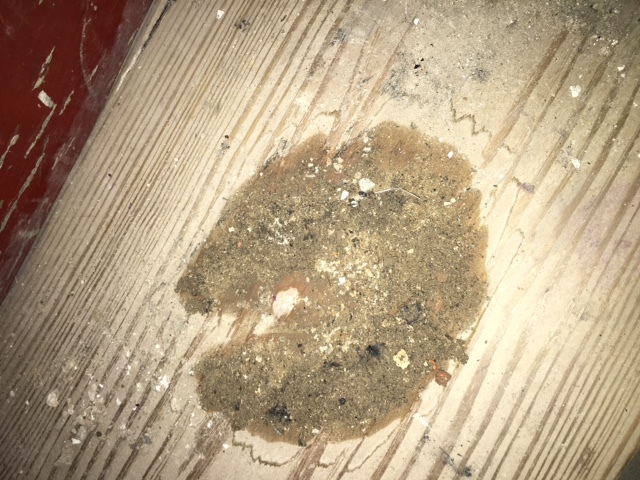 This is strange, but possibly paranormal. 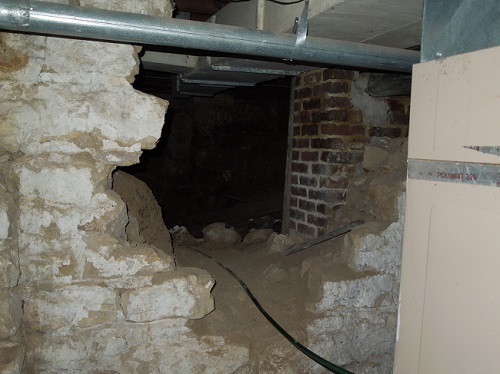 We have lost video footage from 4 different cameras that were set up in the house all the same time frame. The nursery from 8:30 P.M. to 10:30 PM and 1:35 AM to 5:00 AM. The guest bedroom from 8:30 PM to 10:30 PM and 1:35 AM to 5:00 AM. The living room camera that was set up at 2:20 AM until 9:00 AM has no footage until 5:00 AM. The handheld camera is completely gone. 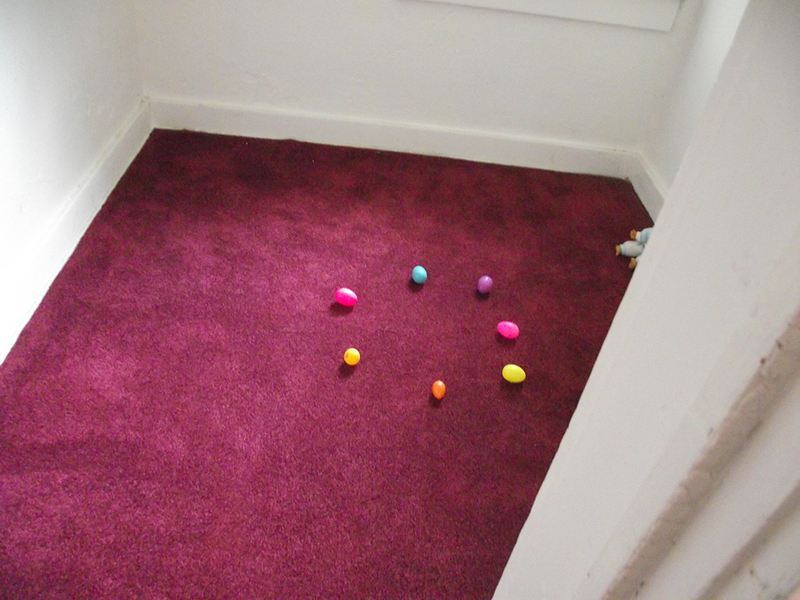 We heard a little girl’s voice with our own ears three different times through out the night all from the same area…the top of the stairs. She said the same thing each time “Momma!” We managed to capture some EVP/ghost box sessions and some small clips with some strange light anomalies in the nursery! 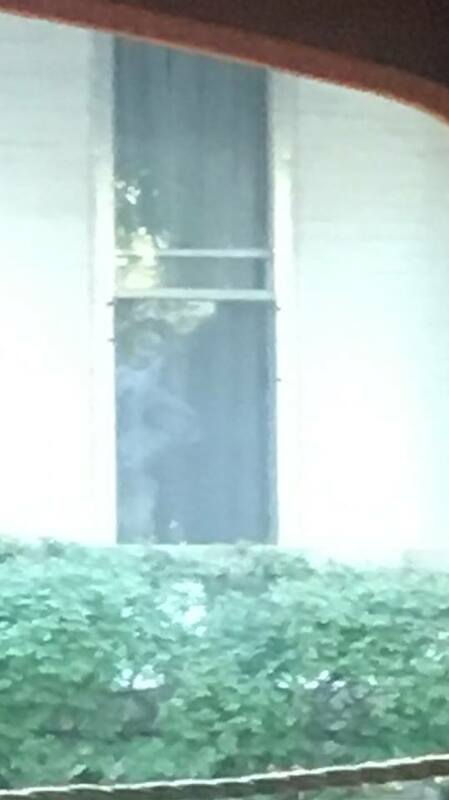 Looks to be a victorian woman looking out the window, with her hand on her hip. This picture was taken at the Cray Historical Home and Museum. Taken on 9/16 by William Lawson. Look to the left of the little girl for an apparition. Courtesy of Ricky Lee. 2014. 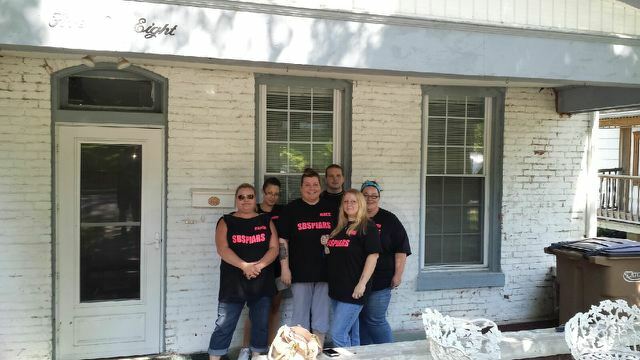 SBSPIARS paranormal group posing outside before their overnight stay at the Sallie House. Look for the unexplainable images around them. Courtesy of Joe Boxall. July 2014. Sallie House - Courtesy of Robert Peschka. May 2016. Profile of face with Indian headdress at bottom right hand quadrant of window. Sallie House - Courtesy of Robert Peschka. May 2016. 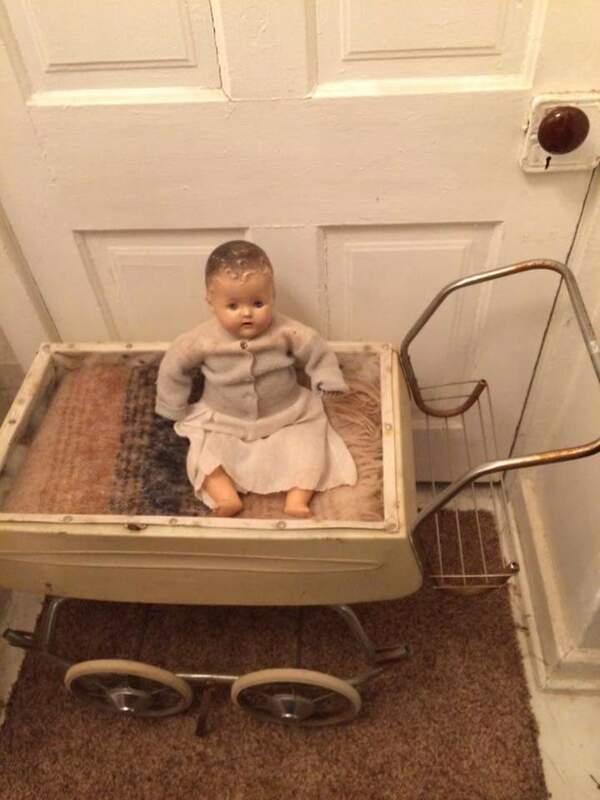 "We left the house to get some food, the doll was laying in the stroller head by the handle bars, when we came back 15 minutes later doll was sitting staring at the door." 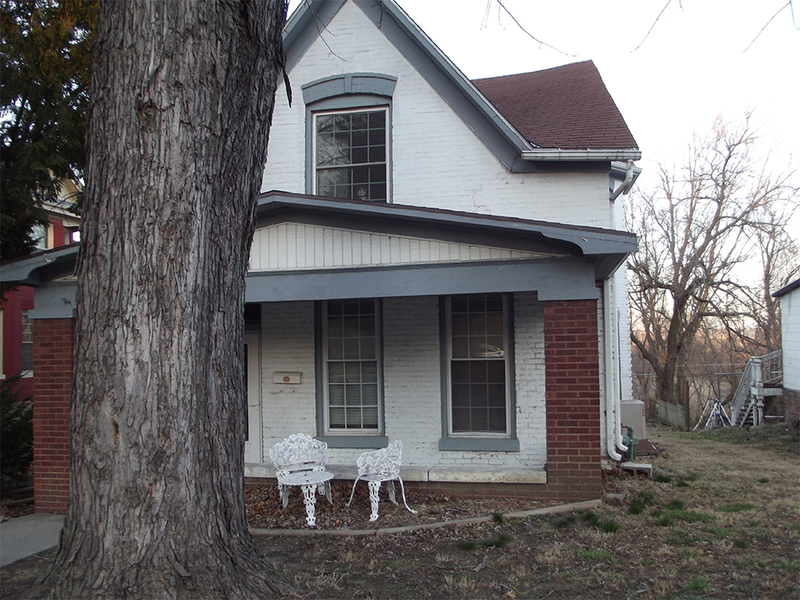 Sallie House - Courtesy of Phyllis Bingham. January 2014. 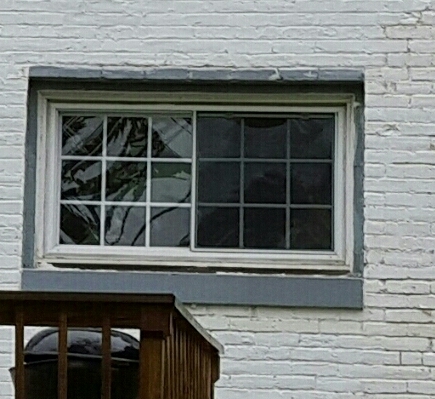 "If you look in the top window there is a face. 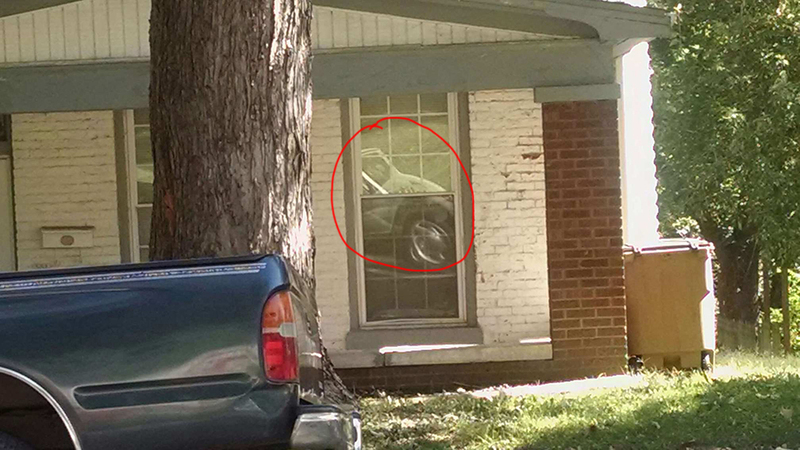 I took 6 other pictures of the front of the house and no face in them." 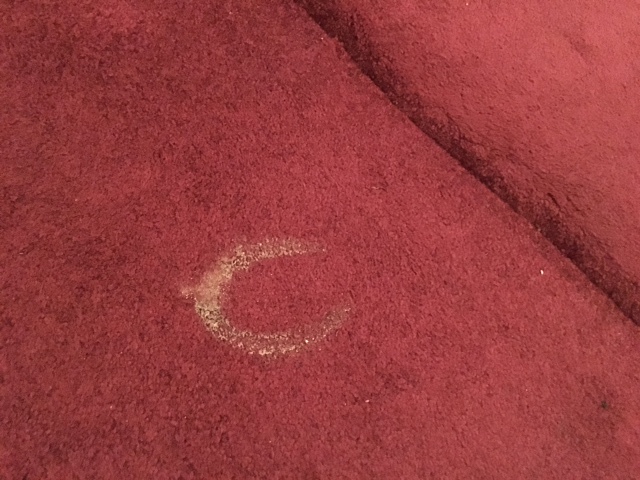 Series of photos of horseshoe shaped marks on the floors of the Sallie House were taken by Tim Woods with LiveSciFi on Friday, February 26, 2016. 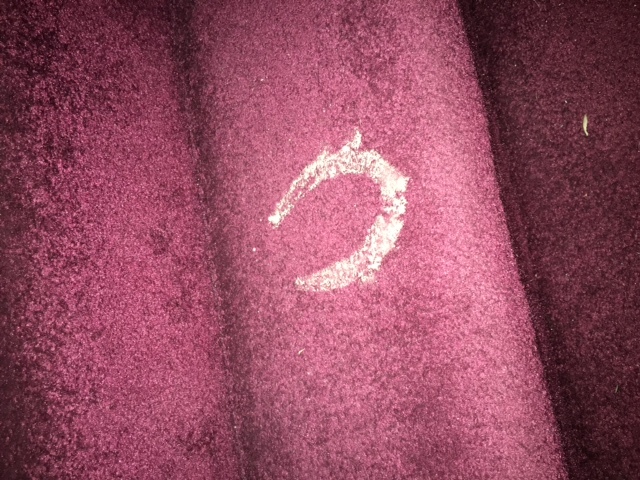 Horseshoe shaped marks on the floors of the Sallie House were taken by Tim Woods with LiveSciFi on Friday, February 26, 2016.